Panjabi MC (also known as Punjabi MC, real name Rajinder Singh Rai) was born in Coventry, England. Ninder Johal of Nachural Records discovered him thanks to his remix of Kuldeep Manak’s Ghariah Milan De. His first 12” “Rootz” was very controversial because PMC used a religious Muslim song in it. The 12” was taken off the market but PMC continued making records. “Mundian To Bach Ke (Beware of the Boys)” (1998; first appeared on the CD Legalised) which mixed the theme of the TV series Knight Rider (already used before by Timbaland & Magoo on the track ‘Luv 2 Luv U’ and Busta Rhymes on his track ‘Fire It Up (Remix)) with bhangra was already an underground hit when German record company Superstar Recordings - thanks to downloads on the Internet - picked it up and it became a major hit in Germany and then in the rest of Europe, including the UK. A version of this recording in 2003 featured American rapper Jay-Z named Beware of the Boys. 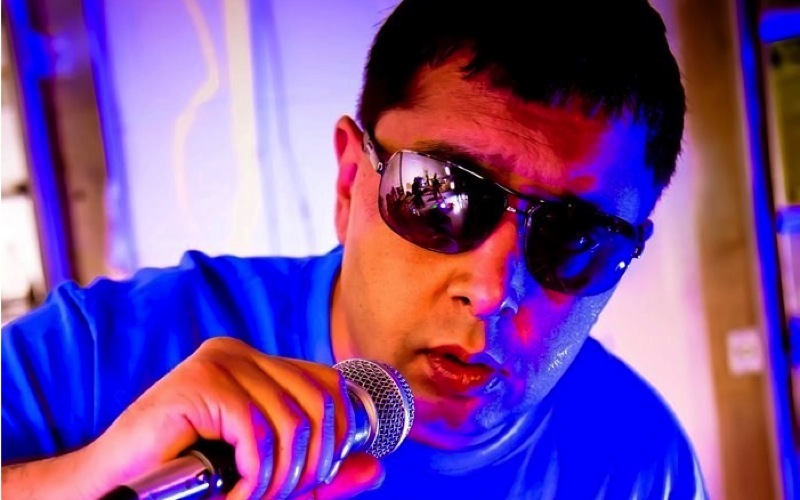 Panjabi MC is one of the pioneers of Asian/rap/dance fusion. He is very versatile, using not only hip hop but also styles like jungle (on “100% Proof”), UK garage (on “Desi”), reggae (on “Desi”). On “Desi”, Panjabi MC uses vocal samples from Ofra Haza’s “Im Nin’Alu”. He also used “Planet Rock” (“Pyar Wich (Planet Rock Remix)” on Legalised) before Afrika Bambaataa recorded “Indian Planet Rock”.